Your first orthodontic visit is your opportunity to have specific questions answered and to discuss your concerns. 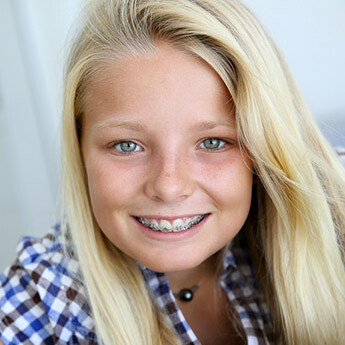 If orthodontic treatment appears to be in your best interest, we can proceed with preparing diagnostic records. The diagnostic records will include additional radiographs, photos of the face and teeth, and digital models of the teeth. After careful evaluation of these records by Dr. Castella, a definitive diagnosis and treatment plan can be made. At a subsequent appointment, Dr. Castella will discuss the findings of the records with you and give an exact fee for treatment and a more precise length of treatment. Any insurance pre-determination forms will also be given when a definitive diagnosis and final treatment plan is arrived at. You may then provide this form to your insurance company, and your insurance provider will then let you know (in writing) exactly how much and how they will reimburse you. We are confident that we will provide you with the highest level of quality orthodontic care at the most competitive fee. You will leave the first visit with a basic understanding of the orthodontic problem and what is involved in correcting it. Call 519-979-5500 for your consultation appointment today!